Spring in the Arizona mountains is a sordid affair, with crazy deviations in the temperature, high winds, and last April, we even had an 18″ snowfall! and a lots of layering pieces close at hand! 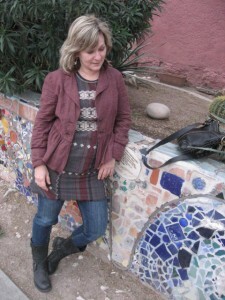 Linked with Patti’s Visible Monday @ http://notdeadyetstyle.blogspot.com/. ~ by admin_aef on March 24, 2013. I’m surprised that Arizona would get a late snow; we are getting more tonight here in Boston. Love this SW look! You have a lot of Free People stuff! You seems to be a huge fan of Free People! I love their stuff too, have myself a few of their pieces. I particularly love that stripe long cardi Have a great week ahead! You really wear the SW look well. I like these authentic looks – thanks for sharing them with Visible Monday! 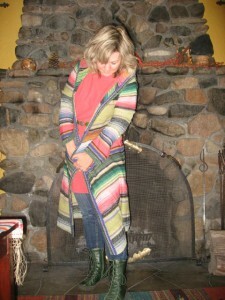 We love the southwestern looks where I live…you did a great job with your styling!! Please stop by and enter my contest! I was so ready for real spring but we also getting late snow-ughh, can’t wait to see tree blossom already! By the way I’m hosting a link up party and would love to see your look there! Some great outfits! I love the first one…and those boots; WOW. I found you at Patti’s Visible Monday and am looking forward to perusing your blog. Fabulous looks, Dawn – that first sweater coat is so amazing. 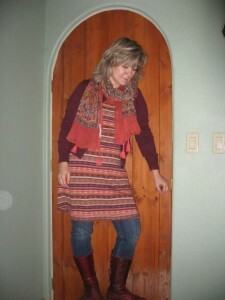 I am grooving on anything southwestern, tribal, ethnic etc at the mo – anything from Ikat to Kilim! I hope spring will decend on you soon.I love this tribal ethnic vibe of your outfits esp this free people sweater. Holy Cow! You’re sure making the most of the end of winter in the high plains! Pretty, pretty, pretty!